The countdown to Black Friday and Cyber Monday has begun, and preparation is key if you want to bag a Garmin bargain. 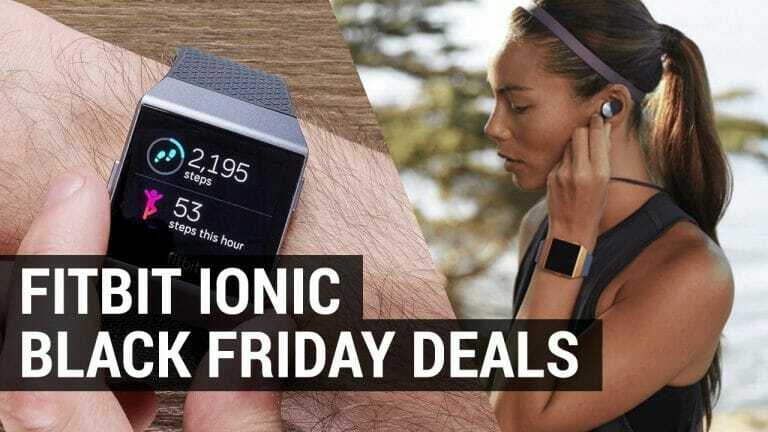 So don’t arrive late to the online party, turn up early and do your research now, in order find the best Garmin Forerunner, Fenix and Vivoactive Black Friday Watch Deals. If you are unsure which running watch is right for you, or where to look for the latest Garmin fitness tracker deals, we have done the hard work for you. 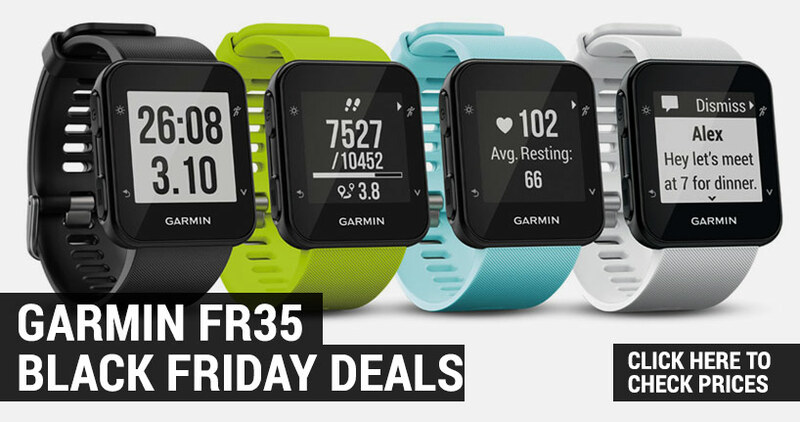 But be quick, Garmin Forerunner Black Friday deals this good won’t hang around for long! 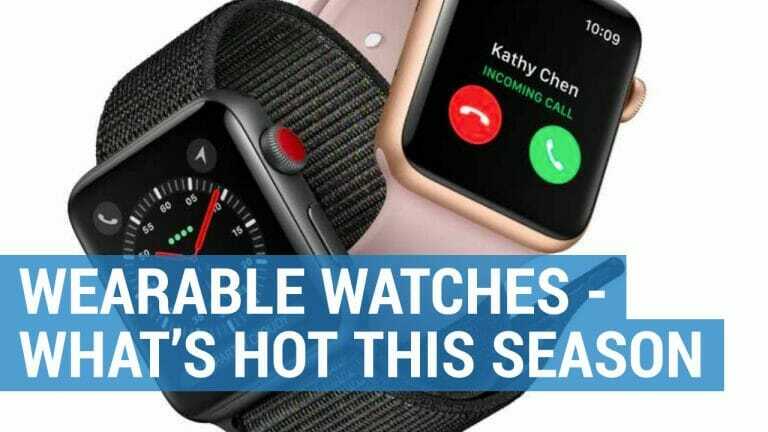 Offering a fantastic range of high-tech running watches and fitness trackers, our buyer’s guide will navigate you through this shopping extravaganza, helping you to decide which Garmin wearable is the perfect gift to give this holiday season. 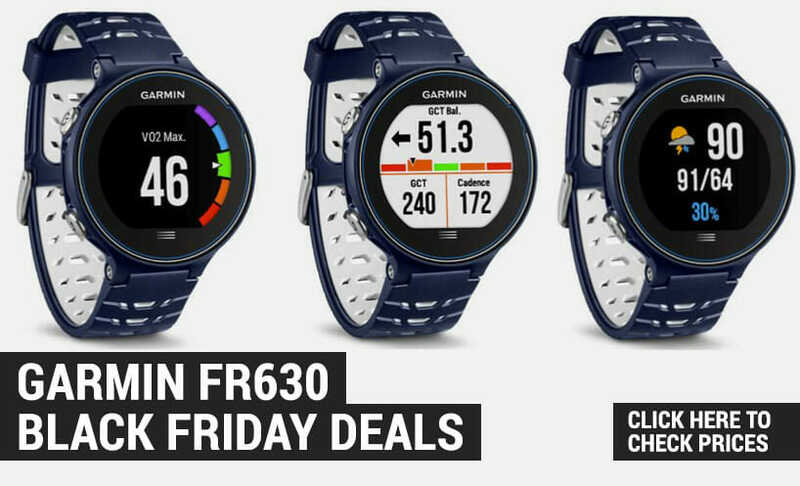 Take a look at our round up of the best Black Friday and Cyber Monday Garmin deals, hot off the press, and be the first to take advantage of these big price reductions. The Garmin Forerunner 35 is a slim and lightweight watch and is the perfect gift to give to both beginners and experienced runners. Its built-in Garmin Elevate wrist-based heart rate and GPS tracker can monitor your distance, pace, intervals and route. Plus, with its all-day activity tracking tools it can keep count of your steps, calories and intensity minutes as well as notifying you of when it is time to move. The Forerunner 35 may be cheaper than some of the more high-end Garmin running watches, but this simple watch is crammed full of features. 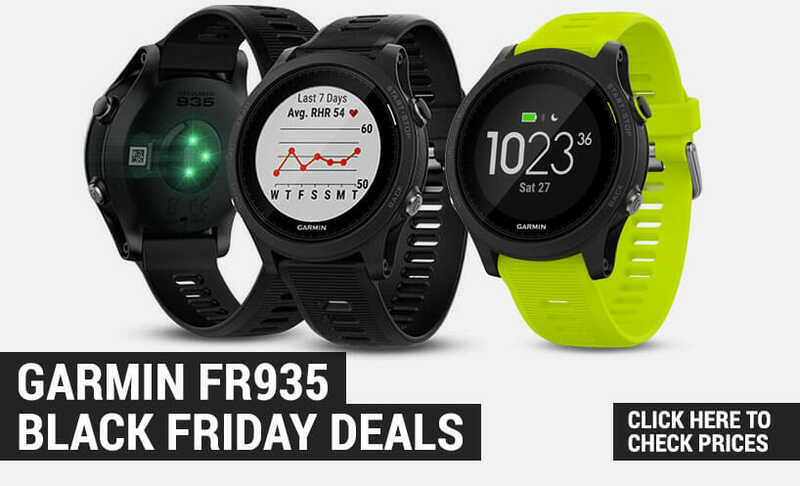 To get your hand on the Garmin Forerunner 35 at the best available price, take a look our best Black Friday deals. The Garmin Forerunner 230 comes with a range of smart features to ensure that you stay on pace of your New Year resolutions. Offering all the tools that a runner could possibly need, its built-in activity tracker records distance, pace, and steps (even when you are not running) and can be paired to a chest strap for heart rate monitoring. What’s more, when you connect it to your phone you will automatically receive notifications, and through Garmin Connect can receive audio prompts and live tracking. 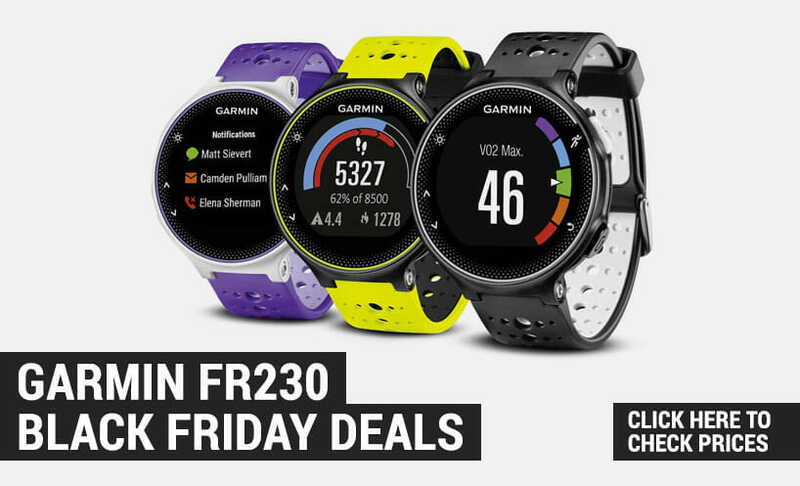 It will feel like Christmas has come early this holiday season, when you purchase the Garmin Forerunner 230 in the Black Friday sale. These days we expect running watches to be more than an activity tracker. We want them to be our personal coaches too, offering up insights and programmes to enable us to train even harder. The Forerunner 235 does just that, with a host of impressive features and advanced workouts and training plans. This watch also comes with an optical sensor that measures your heart rate 24/7 whilst on the wrist, and includes many smart watch features to ensure that you never have to miss a thing when you are on the run. 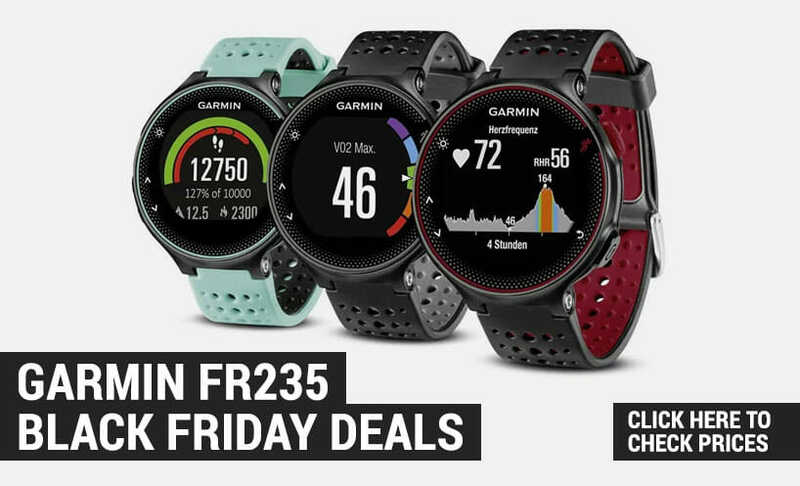 The Garmin Forerunner 235 is the ultimate gift to give this holiday season, so make sure you don’t miss out on the best prices in the Black Friday sale. The Forerunner 630, is a revolutionary GPS watch with advanced running metrics that can assist any serious runner achieve their fitness and performance goals. 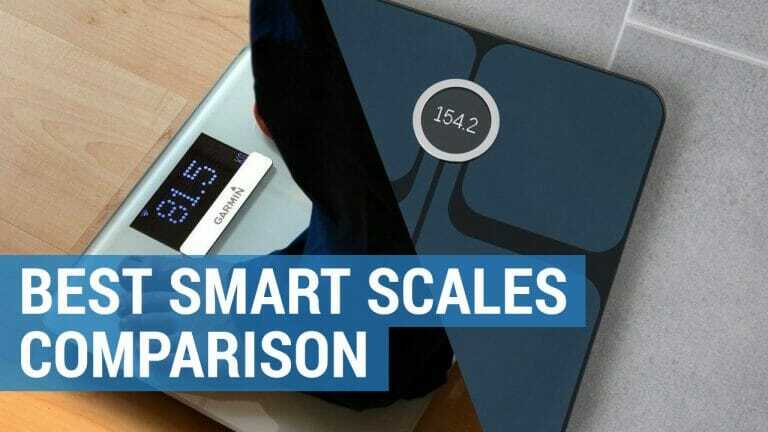 Its many tracking features such as ground contact balance, stride length and vertical ratio are all displayed on the high-resolution touchscreen and can be uploaded and shared through the various connected features. Plus, with additional tools for measuring stress, performance and lactate threshold; you can make the most of your workouts and progress your training to reach your full potential. The Forerunner 630 feature-packed watch is an affordable option when you purchase it in the Black Friday Sale. The Forerunner 735XT is one of the most lightweight multisport watches available for athletes on the market today and offers the complete fitness package. Whether you want to track your cycle, swim or run; you can receive in-depth data as you train. Its in-built heart rate monitor allows you to see your vital stats without the need for a chest strap, and at the touch of a button you can move seamlessly from activity to activity. If this is the watch that you have been waiting for, now is the time to buy it. An expensive purchase, make sure you pick up the Forerunner 735XT at a bargain price in the Black Friday sale. 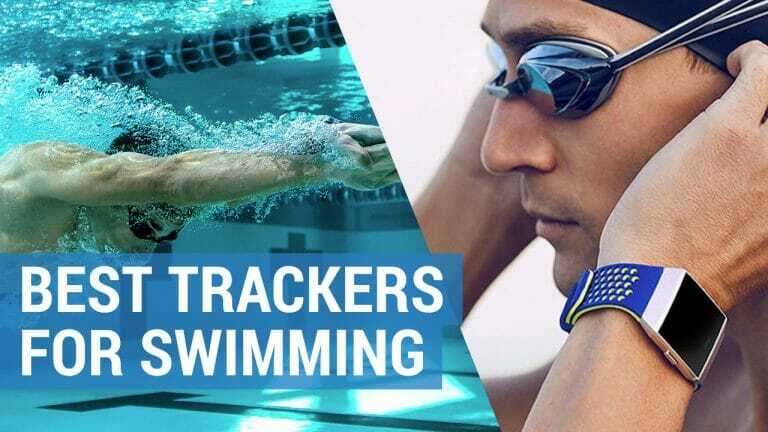 This quality GPS watch can help any runner or triathlete fine-tune their training programme thanks to its comprehensive set of stats ranging across a multitude of activities. It’s high tech running dynamics, wrist-based heart rate and training status tools, help to manage, maintain and push your body into peak condition and is the ultimate wrist-based motivator. If the Forerunner 935 is high up on your wish list this year, make sure you take advantage of the fantastic savings available in the Black Friday sale. If you are a triathlete, swimmer, skier or hiker, then the Fenix 3 HR is the watch for you. Its set of features include fitness training and outdoor navigation, preparing you for any training session or adventure. You can track your workout data, transition effortlessly between sports activities, navigate your way in challenging environments, monitor your sleep 24/7 and use it as a basic smartwatch for essential notifications. 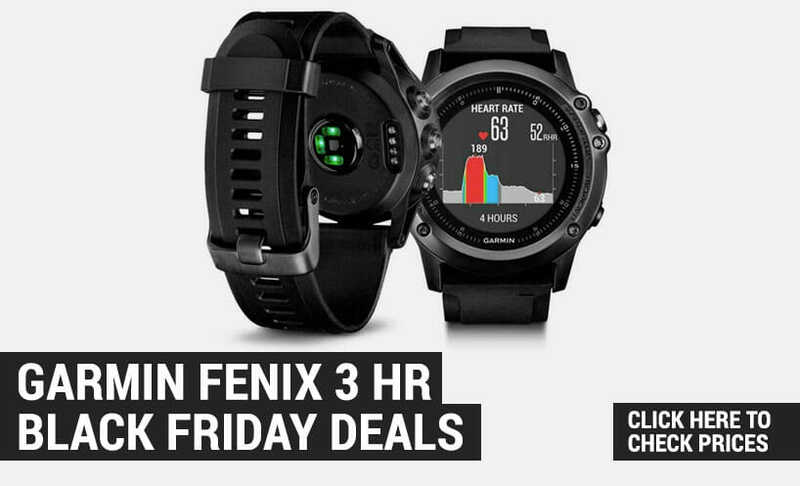 It will be happy holidays when you purchase the Fenix 3 HR in the Black Friday sale. It will be game, set and match when you wear the Fenix 5 as this watch comes pre-loaded with a multitude of different sports profiles and activities. It also includes some clever navigational sensors so that you can take to the slopes, pound the pavements and parks or put your pedal to the metal as you explore with confidence in the great outdoors. This is the perfect watch to stylishly take you from a work out to the work place and its smart notifications will ensure that you can stay in touch when on the go. 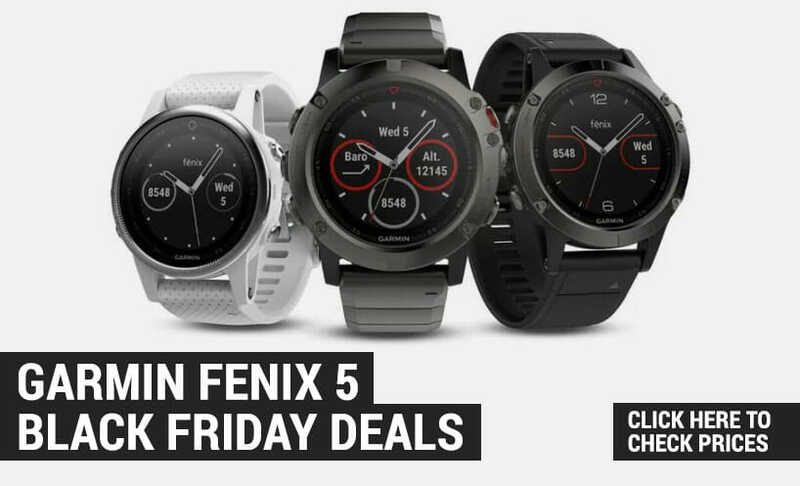 So why not get one step ahead, and purchase the Garmin Fenix 5 in the black Friday sale. There couldn’t be a better time to buy your holiday gifts than in the Black Friday and Cyber Monday sales. 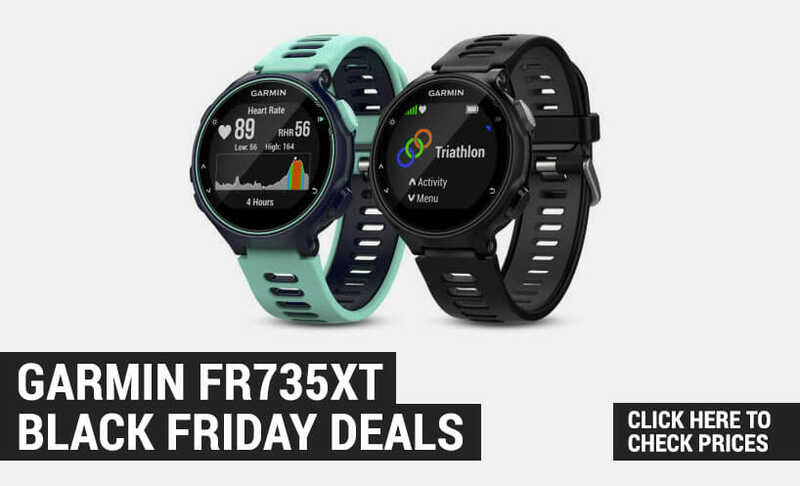 No matter which Garmin product you choose to purchase, or who you buy it for, you can rest assured knowing that you’re guaranteed a high-quality product at a fantastic deal. And don’t forget to check back here for the latest pricing on all Garmin products 2018.